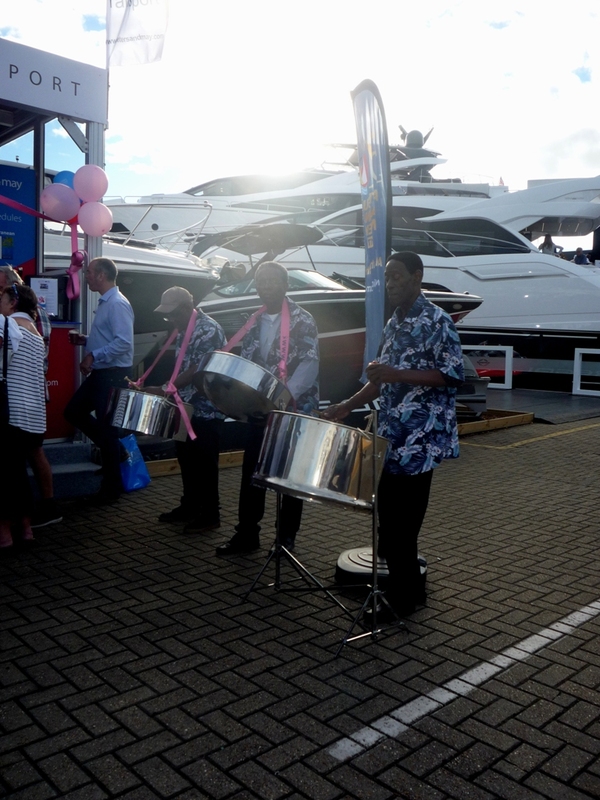 ISLANDERS AT SOUTHAMPTON BOAT SHOW. 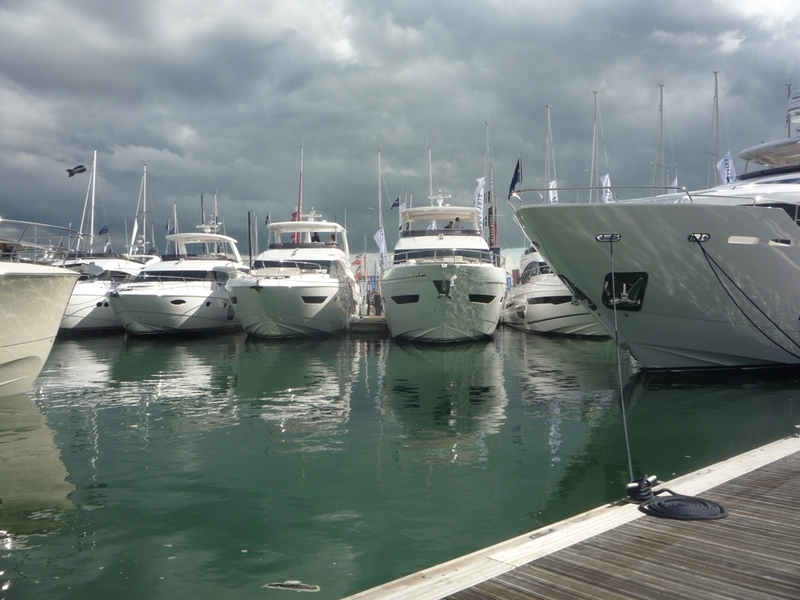 Students and staff from the IW Studio School attended the Southampton Boat Show on Thursday en masse. In fact the 143 students on site comprised all but a handful of the school’s students. 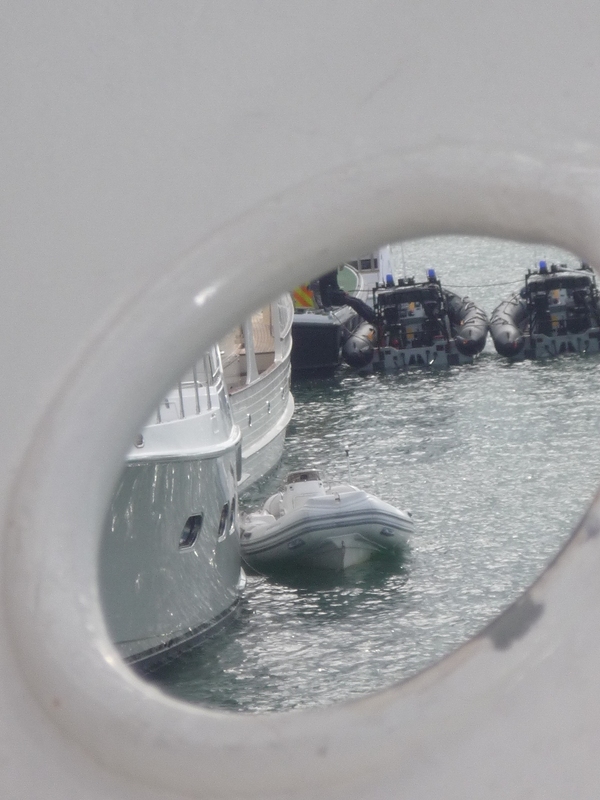 Having encountered some of the students on their fact-finding mission into the marine industry we were impressed by their smart appearance and well –mannered behaviour. Headteacher Richard White was at pains to point out that they were not there on a ‘jolly’. Rather, they were tasked with both identifying and engaging with at least one business in each of five different sectors. 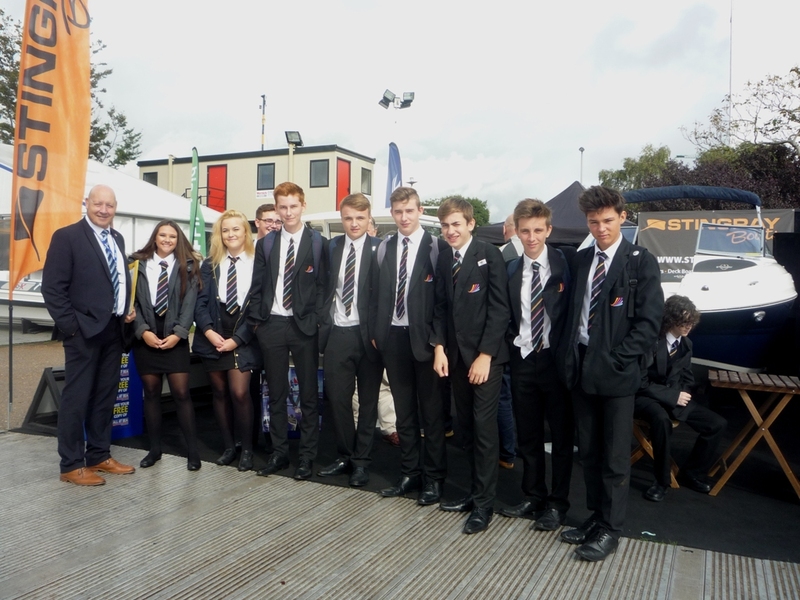 This was not the first time that students had travelled to Mayflower Park for the annual show. Richard said the school’s ethos was to instil a business readiness for students alongside their academic education. 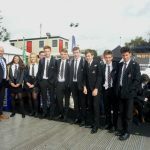 As well as the show visit by Island students British Marine had organised a careers event with British Marine launching a new video, as part of its ongoing careers campaign, aimed at 10 to 15 year olds to inspire them to take up a career in the marine industry. This video appeals to a younger audience by demonstrating that there is a variety of rewarding career options available for young people to aspire to. Jeff Warboys is the winner of the 2016 JPMAM Round the Island Seamanship Award presented by insurance company MS Amlin/Haven Knox Johnston. Jeff was participating in this year’s Round the Island race when off the Needles, aboard his Sigma 33 ‘Workout’, Jeff realised that the Half Tonner ‘Alchemist ‘was in difficulties. She had hit a submerged wreck and was taking on water fast. ‘Workout’ dropped her sails and stood by until the stricken crew were rescued by the RNLI. Remarkably, after getting back into the race, Jeff still finished first in his class. 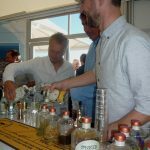 In attendance at the presentation to Jeff was Mark Wynter, Commodore of the Island Sailing Club, the club which organise, the race and the owner of ‘Alchemist’. 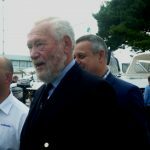 Also on the MS Amlin stand Brand Ambassador Sir Robin Knox Johnston launched the 2018 Golden Globe Race .He was the winner, by virtue of being the only finisher, in the inaugural (then)Sunday Times Golden Globe Race in 1968/69. For the 50th anniversary race there is a limit of 30 sailors all sailing single-handed. They will depart from Falmouth on 16th June 2018 and sail non- stop in a clockwise direction around the World. Production boats, designed prior to 1988 and in the range 32-36 feet overall, will be similar to Sir Robin’s original entry ‘Suhaili’. 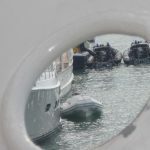 It is expected that the sailors will be sailing for about 300 days all without the help of modern technology including satellite based navigation and with severely restricted radio contact. 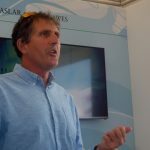 Sir Robin said that this race would be getting back to basics and be the real Corinthian challenge that some sailors are looking for. Dean and Reddyhoff who run East Cowes Marina hosted two Round the World sailors on their stand at the Show. 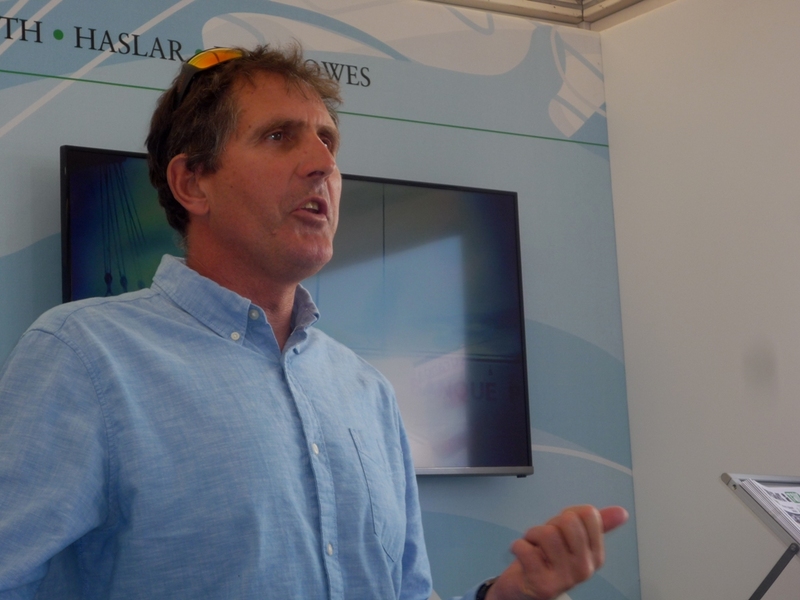 Ocean racer and record breaker Brian Thompson is now, once again, based in Cowes. 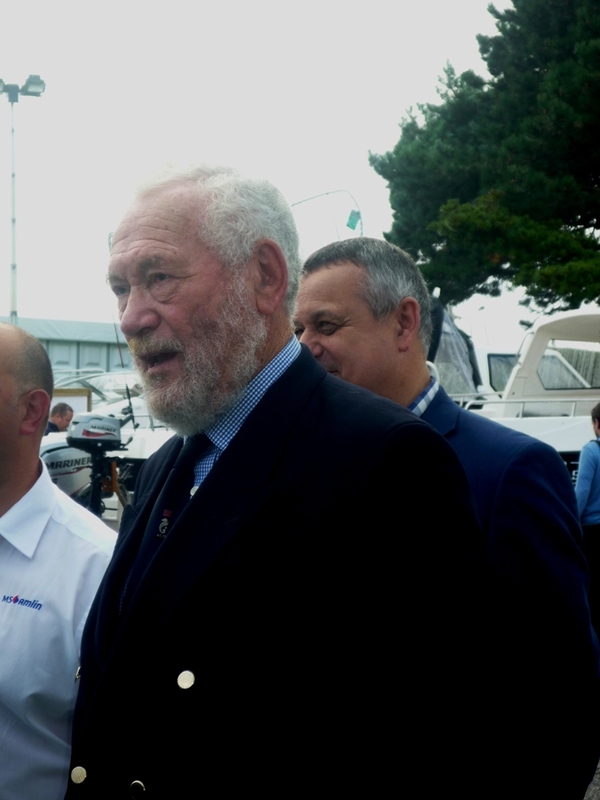 Brian spoke of his exploits over the years including being a crew member on ‘Banque Populaire’ which took some 45.5 days to circumnavigate the globe and secure the Jules Verne Trophy. More recently he was aboard the trimaran ‘Phaedo 3 when she smashed the record in this year’s JPMAM Round the Island Race and on 19th August ‘Phaedo 3’ set a new World Record around the Isle of Wight – 2 hours 4 minutes and 14 seconds but this is still to be ratified by the World Speed Sailing Record Council. He now has his sights on the Rolex Middle Sea Race and the Caribbean 600 Race on board ‘Phaedo3’. Brian also competed in the 2008-2009 Vendee Globe event as did Steve White who was the second Round the World sailor answering questions. Steve was born in Derbyshire but is now based in Portland home of another of the Dean & Reddyhoff Marinas. As well as the Vendee Globe Steve took part in the 2004-2005 edition of the BT Challenge. In the Vendee Globe Steve was one of only two sailors to own their own boat. He is now mounting a challenge with an Open 70 ‘Blue Cube’ for the 2017-2018 Vendee Globe. 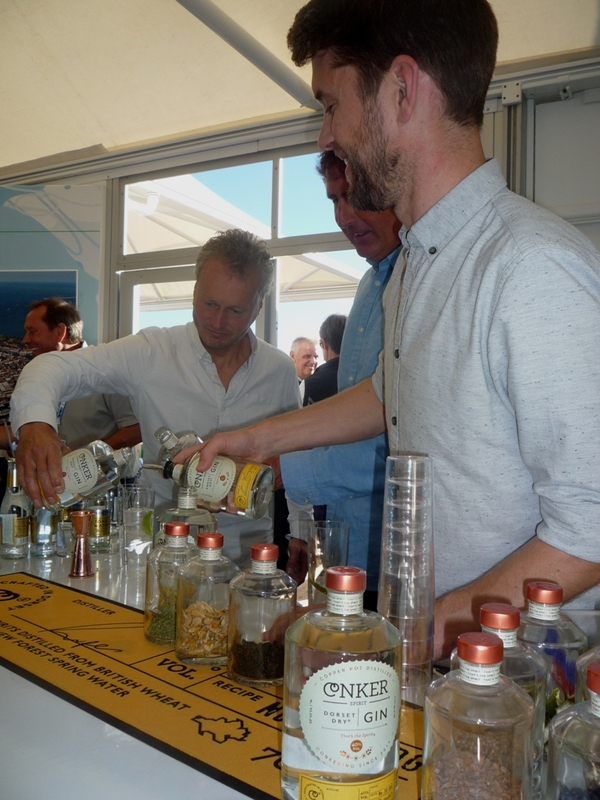 After their Q&A session both sailors were keen to sample Conker Dorset Gin which is hand crafted in Christchurch. This version is 40% proof and utilises ten botanicals in its recipe including gorse and samphire. On the Peters and May stand a cheque for £28,366 was handed over to the Princess Alexandra Hospital NHS Trust for their Breast Cancer Clinical Trials. It is the company’s adopted charity as the Chief Executive David Holley’s mother was a sufferer. Peters and May has provided global logistics by sea, road and air since 1973. Among their customers is the Team GB Sailing Team. Next year will see the 50th version of Antigua Sailing Week. (29th April-5th May). 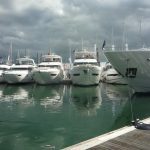 To enable yachts to get to Antigua from ports across the World Peters and May will transport some of the yachts taking part in the regatta. 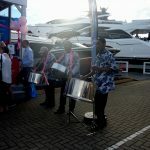 A touch of Caribbean hospitality came to the Show in the form of a steel band and sampling of Antigua Old English Harbour Rum produced on that Island.